One of my Google news alerts is for “private jet.” It means that every day I get an email with interesting articles, from news about new FBOs (private jet terminals), new programs from charter brokers, pharmaceutical executives testifying in front of Congress, new plane launches, technology, orders, forecasts, jet owners sending their planes on relief flights after natural disasters, the Kardashians, Angelina Jolie, and so forth. It’s a mixed bag for sure, and some interesting reading. For example, some of the same American congressmen who lauded the industry for its relief efforts after the Haiti earthquake in an official declaration and who use private aviation themselves were quick to make private jet travel a reason to whip the CEOs of the major car companies. For the CEO of a pharmaceutical company called to testify about the skyrocketing cost of the drug she was selling as her compensation increased dramatically it wasn’t surprising she was asked, “How did you get here? Certainly, my advice would be, drive, fly commercial, take the train, fly to Baltimore/Washington Airport and then take the train. Politicians playing to their constituency are always going to ignore the facts about private aviation to make a point. And yes, in some cases private aircraft is misused. The actions of those CEOs, in my opinion, lacked substantial judgment. Needless to say, there are in fact thousands of extremely successful businesses, both public and private, that use private aviation, and use it responsibly, which the author chooses to ignore, and could have been found very easily. For executives who are not ostentatious billionaires — flying in a corporate jet is often the same as flying a red flag. 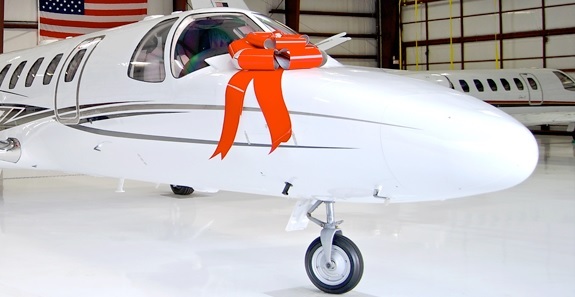 What is surprising is not that companies allow the use of private aircraft — there are a few good reasons to do so, which I will come to — but that they continue to ignore the public relations risk involved. Such risks have been on the radar since at least 1990, when investor Warren Buffett announced, tongue in cheek, that he had named his corporate jet “The Indefensible” (he said his skeptical business partner Charlie Munger had wanted to call it “The Aberration”). But it took the 2001 Enron scandal to focus shareholder attention properly on such perks. 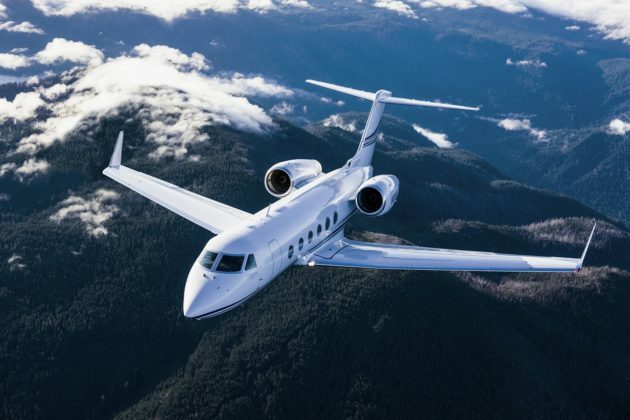 Gulfstream Aerospace Corp. today announced it would end production of the Gulfstream G450, one of the company’s most iconic and dependable aircraft, as it prepares to launch a new era of business aviation with the all-new G500. Gulfstream is scheduled to deliver the final G450 to a customer in early 2018. The G450 built on the successes of the GIV and GIV-SP, which have been class-leading aircraft since they first entered service. In total, Gulfstream produced more than 870 GIV, GIV-SP and G450 aircraft, which will continue to be supported and maintained by the company. The GIV family of aircraft revolutionized business aviation with increased range, industry-leading flight-deck technology, advanced aircraft systems and better reliability, all of which laid the groundwork for Gulfstream to design the innovative and revolutionary G500. Disruptive change is one of the world’s most overused terms. But it’s appropriate when applied to the Gulfstream G500, due for service entry in 2018. This all-new aircraft flies higher and faster than almost all current or known future competitors. Suddenly, cruising at a mere Mach 0.80 seems so 20th century. The G500’s economy cruise speed is Mach 0.85, the new standard for most next-generation large-cabin business aircraft, as well as new long-range Airbuses and Boeings. With as much as 5,000 nm of range at that speed, the $44.65 million G500 can fly nonstop between Seattle and Seoul, Los Angeles and London, or Montreal and Montevideo. The longest trips take less than 10.5 hr. to complete. And yet it flies those missions on less fuel than any other business aircraft cruising at Mach 0.85. When pushed to its Mach 0.90 high-speed cruise (Mmo is Mach 0.925), it can dash between Paris and New York in about six hr., depending on seasonal winds at altitude. Indeed, it can fly at that speed between any North American and European cities that are up to 3,800 nm apart. 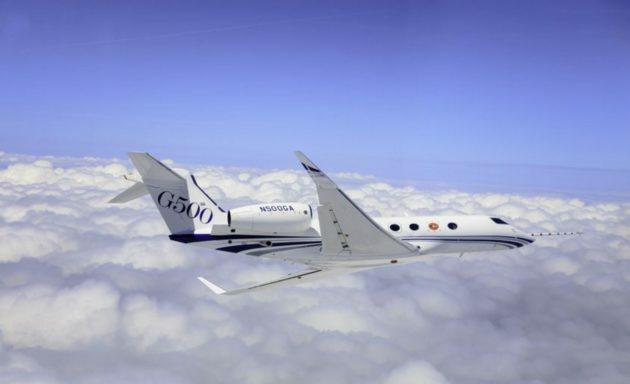 The G500 will replace the G450 in Gulfstream’s product line and the contrasts between the two airplanes are striking. While the G450 was a reasonable, evolutionary step ahead in Gulfstream model development, the G500 is a large leap forward in aircraft design. This is the first pure Gulfstream in more than half a century to be powered by engines not made by Rolls-Royce. It’s the first production business aircraft to be fitted with Pratt & Whitney Canada PW800 PurePower turbofans, engines that share their cores with the new hyper-efficient Pratt & Whitney geared turbofans designed for commercial jetliners. Finally, someone who can speak authoritatively about the outlook for business aviation has gone on record stating explicitly what should have been obvious for some time: it’s time to stop anticipating any sharp upturns in the market. Jetcraft’s forecast calls for an increase in deliveries, to 7,879 aircraft valued at about $248 billion (based on 2015 prices), in the next ten years. In the short term, JetCraft expects less favorable U.S. dollar exchange rates and waning emerging market economies to hamper deliveries. While there is unlikely to be a return to the heady market conditions before the Great Recession, Antonenko made it clear that Jetcraft is confident about the outlook. As part of our continued commitment to offer our clients the safest and most up to date procedures, services, and aircraft, we will, as we do every year, be attending the 2017 NBAA Business Aviation Convention & Exhibition (NBAA-BACE) in Las Vegas. JetOptions is a member of the National Business Aviation Association (NBAA). We will join 27,000 industry professionals for the three most important days of business aviation in the year. 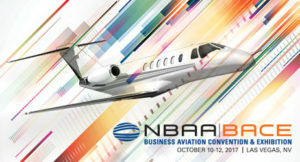 Ranked as the sixth largest trade show in the United States, the NBAA Business Aviation Convention & Exhibition (NBAA-BACE) will be held Oct. 10-12, 2017, in Las Vegas, Nevada. The convention brings together current and prospective aircraft owners, manufacturers and customers into one meeting place to get critical work accomplished. At the convention, we will network with vendors and colleagues, see the latest products and services, visit companies whose products and services we utilize, and keep up to date on general industry trends/issues that will help us to better serve our clients. We are still available 24/7 for all of your charter needs. Add China to the list of more than 30 other countries where U.S.-made Phenom 300 aircraft—the world’s most popular business jet for the last three years, with the highest number of deliveries—now operates. Embraer delivered two of the light aircraft to Colorful Yunnan General Aviation Co., Ltd., a newly established business jet customer based in Yunnan province in Southwest China. The company will employ them in a variety of missions, including business and high-end leisure travel, as well as customized tourism, disaster-relief work and medical-rescue. Whether for business or leisure, for the ultra-wealthy of the Arabian Gulf, being able to fly without stopping to New York and other US East Coast cities is a major plus. There is currently one business jet able to perform such a task – the Gulfstream G650ER. As a result, the Savannah-based manufacturer’s flagship performs strongly in the region. But Savannah will not have the market to itself for much longer. Bombardier was at the Middle East Business Aviation Association show in Dubai promoting the virtues of the Global 7000. The large-cabin type – which has just begun flight testing – will also be able to reach the Big Apple in a single flight when it enters service in 2018. 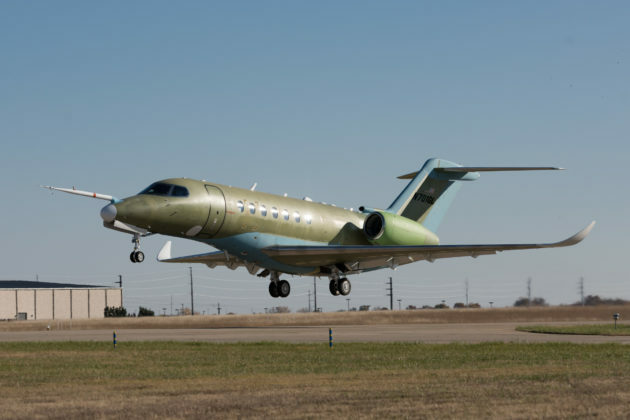 The Canadian manufacturer believes the Global 7000’s size advantage over its rival from across the border will give it the edge in the Middle East. And for those with a bit more cash to splash, Boeing says its newly launched BBJ Max 7 will be the first airliner-derived business jet to fulfill that mission: although Airbus suggests that its much earlier-to-service ACJ319neo is likely to develop extra range during the three years’ head start it has on the adapted 737. The onboard connectivity market remains one of the hottest and fastest growing segments of business aviation and for good reason. 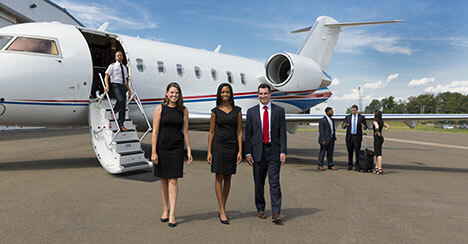 Business aviation travelers and crews these days insist on being connected to the internet or cell systems to do everything from monitoring their email and surfing the web, to being able to “text and talk” using smartphones and other devices while en route. Gone are the days when these services were considered perks. Travelers demand continuous connectivity while en route from takeoff to landing, for both domestic and international travel. And they expect connection speeds to be as fast as those they have at home or in their offices, which puts pressure on owners and operators to make sure their onboard connectivity systems are capable of meeting those demands. Once, passengers might have accepted some compromise in onboard Wi-Fi offerings available on business jets, but that is rapidly changing. That is due, in part, to the connectivity gains made by commercial airlines, which increasingly are offering more and faster services. Business aircraft clients and crew now expect owners and operators to not only offer internet access, but also ensure that the quality of the service is at least equal to that offered by many commercial carriers. How alert are you as a passenger on a flight in a business aircraft? Do you pay attention to the pre-flight safety briefing? Do you become absorbed in work or conversations throughout the flight? What would you do if your phone or computer overheated and caught fire, and the cabin suddenly filled with smoke? Or a fellow passenger became seriously ill? Would you know where to locate a fire extinguisher or defibrillator, or how to use them? What if the plane crash-landed? Condition Orange is part of a color-coding situational awareness system developed originally for the military and law enforcement by the late Jeff Cooper. In Condition Green, you are relaxed and unaware of what’s around you; for example, iPhone on, earplugs in, focus somewhere far away. Your reaction times to an emergency will be slower, and you are more susceptible to becoming a statistic in a disaster. In Condition Orange, you are more vigilant of your surroundings and have a “what if” plan in your head. It’s not enough to assume that the flight attendant or flight technician, if one is onboard, will take care of any crisis. Passengers – especially frequent flyers – should be knowledgeable about the safety and medical equipment available and procedures for their use. 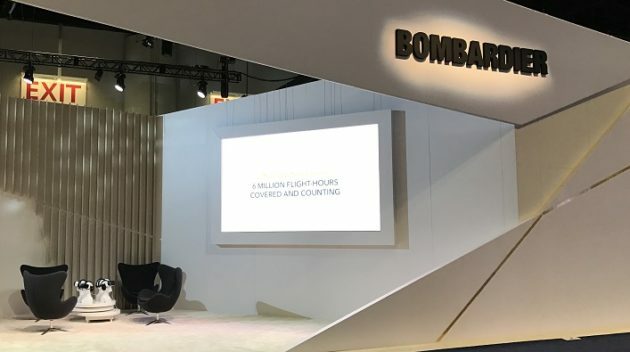 The new Global 7000 is expected to drive up Bombardier Business Aircraft’s revenues by $3 billion between its service entry in 2018 and the end of 2020, division president David Coleal said today at Bombardier’s investor day. To date, the Global 7000 has logged more than 30 hours over 15 flights, with certification flying to ramp up next year as more flight-test vehicles come online. The aircraft is sold out “through 2020,” he added. Coleal also said that Bombardier’s business jet division is looking to double its aftermarket revenues from now until 2020. 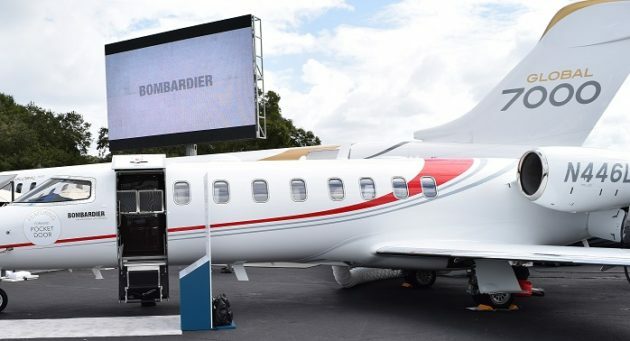 The installed base of Bombardier business jets will climb beyond 5,000 aircraft in 2020, fueling growth in service and part sales, he noted. To help meet this demand, the company is expanding its service network. This includes a new 300,000-sq-ft Bombardier Business Aircraft service center at Hollywood International Airport in Fort Lauderdale, Florida, slated to be finished in 2018. Many business jets have recently been depreciating faster than ever before. Some models whose value historically declined an average of 4 percent per year experienced losses in excess of 20 percent in 2015. Aircraft Value Reference Guide (Vref), for example, reported that during a three-month period toward the end of last year, the value of the average Falcon 7X sank between $1.8 and $2.7 million, with other models such as the Gulfstream G550 experiencing similar declines. Sellers of such jets face pressure to complete a transaction sooner rather than later, which further accelerates depreciation rates. No matter how old they are, though, jets never seem to run out of value altogether. Instead, they often hit a floor, a kind of depreciation-free zone, where loss in value slows or stops for a time. 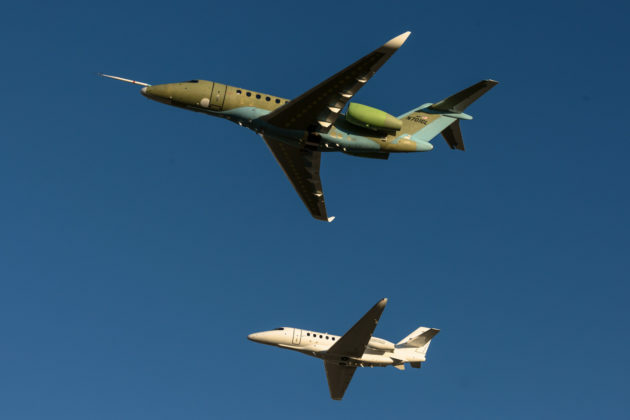 Vref, for example, reports that in the same three-month period, Gulfstream GIIs, Dassault Falcon 10s, Citation Bravos, and Learjet 55s did not decline in value at all. In part, this apparent stabilization may simply reflect a lack of sales. Buyers aren’t plentiful for a 32-year-old business jet that needs an eight-year inspection, major avionics upgrades, and engine overhauls. A potential purchaser might conclude that the cost to render the aircraft serviceable exceeds its ostensible value. The owner who wants to get rid of an airplane that’s hard to sell, then, has limited options. A business jet, after all, isn’t like a car that you can push out to rust in a field by the barn or have hauled away by a junk-metal dealer’s tow truck. When an aircraft becomes too expensive to operate or too difficult to sell, a typical solution is to “part it out”—to tear it down for parts. This is a flourishing industry served by a trade organization called the Aircraft Fleet Recycling Association, which offers accreditations in airplane disassembly and recycling. But depending on the model, the market for its parts may already be saturated. As a result, owners seeking to get rid of older jets are increasingly thinking about giving them to a charity. A recent economic impact analysis of Van Nuys Airport (VNY) – one of the busiest general aviation airports in the country – has determined the airport is a “key player” in the Southern California region. The Los Angeles World Airports (LAWA) commissioned the economic impact analysis, “Los Angeles World Airports: Van Nuys Airport in 2015” to quantify the total economic impact of VNY. 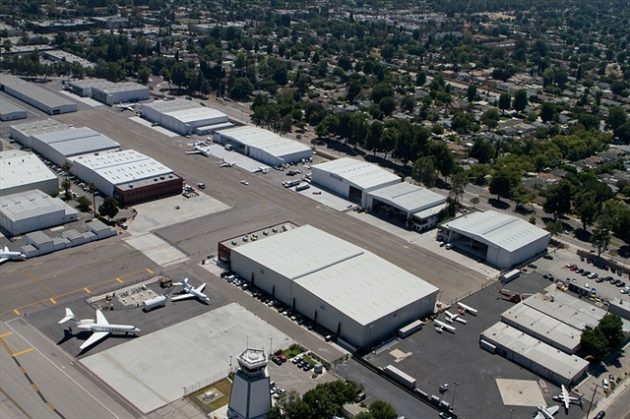 Curt Castagna, president of the Van Nuys Airport Association and president and CEO of Aeroplex Group, said the last economic impact study for VNY was conducted 10 years ago, and it was time for a more accurate picture of the airport’s impact on the region. Most business aviation operators engage in annual risk assessment and profiling, according to the results of NBAA’s 2016 Business Aviation Safety Survey (JetOptions is a member of NBAA), now available exclusively to the association’s members. 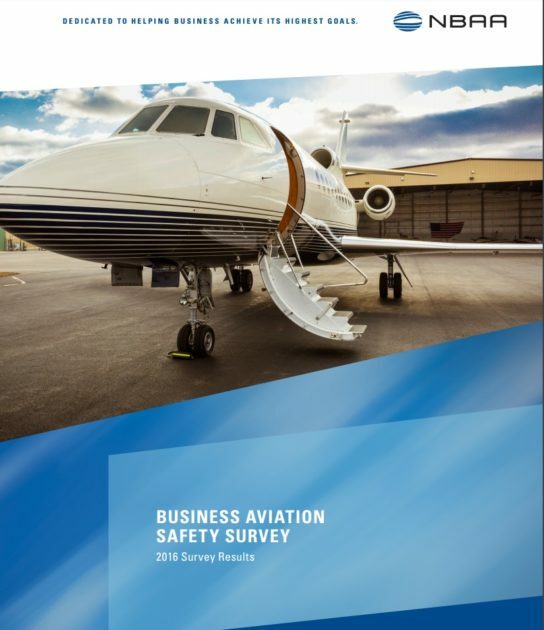 The survey provides an unparalleled look into the safety policies and concerns of business aviation flight departments. More than 800 industry professionals of all roles and specialties provided their company’s safety data for the survey, more than doubling the response rate from last year’s inaugural survey. The survey shows that 60 percent of dual-pilot operators reported they go to recurrent training twice annually. Most single-pilot respondents (62 percent) indicated they train once annually, with 28 percent indicating they train twice per year. A significant majority of operations have some form of safety reporting process, with 73 percent of respondents saying they have comprehensive awareness of safety reports and issues across their organization. Distraction, fatigue, professionalism and time pressure continue to be the top potential triggers for mishaps, respondents said. There’s flying, and then there’s flying. Brazilian private-jet maker Embraer prefers that its customers experience the finer side of aviation. 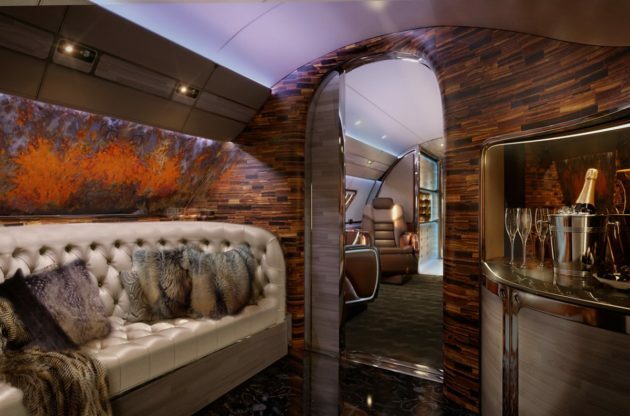 Earlier this year, the Sao Paulo-based company dazzled with its Kyoto Airship concept interior that featured a massive skylight installed on its flagship Lineage 1000E jets. Now, Embraer has teamed up with Eddie Sotto, a designer based in Los Angeles, to create a custom interior called Skyranch One. Instead of the Kyoto Airship’s Asian theme, Skyranch is a harmonious blend of several cultures. 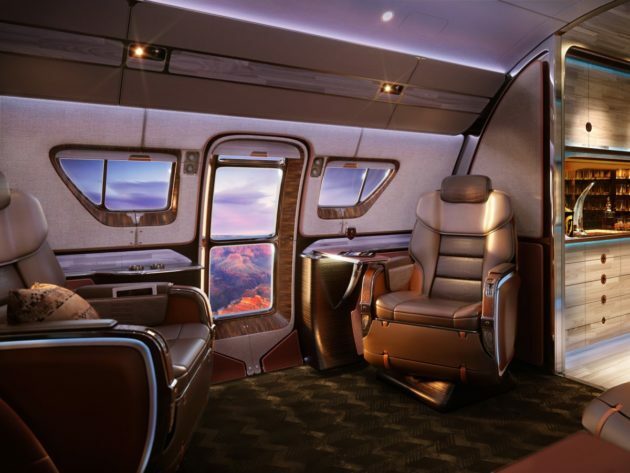 “Think Dallas’ JR Ewing meets the daughter of a Brazilian rancher,” Jay Beever, Embraer’s vice president of interior design, told Business Insider in an interview. As a result, the Skyranch offers a Southwest theme with some Spanish and Portuguese flair, Beever said. North American business aircraft flying was up by 4.9 percent year-over-year last month, marking one of the best performances year to date, according to TraqPak data released today by Argus International. This surpassed the company’s projection of a 3.1-percent gain last month, and Argus analysts remain optimistic about this month, estimating a 4.1-percent rise in flying. Results by operational category showed “significant gains” across the board last month, with Part 135 activity climbing by 7.6 percent, Argus said. Part 91 flying logged a 4.1-percent improvement, while fractional activity rose a “modest” 1.2 percent. The aircraft categories were also all positive in November and once again led by large-cabin jet activity, which surged 7.6 percent versus a year ago. Turboprop flying was also robust, jumping 5.6 percent year-over year; light and midsize jets followed at 4.2 percent and 3.5 percent, respectively. 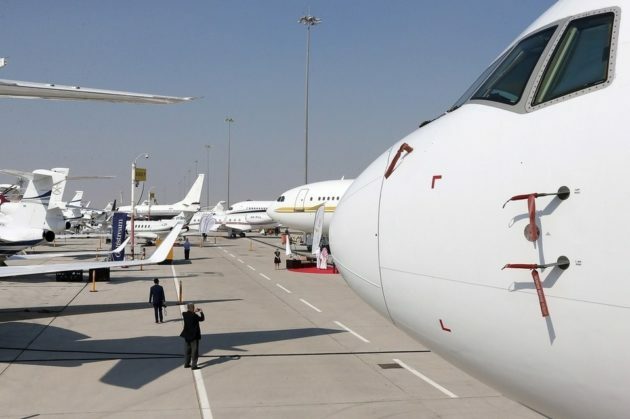 The Middle East’s leading business aviation exhibition continues at the Dubai World Central with about 50 executive aircraft on static display, including the Falcon 8X business jet which is making its regional debut. Business aviation is constantly evolving, and we always keep up to date with training, education, trends, and news about the industry to better serve our clients. Following are business aviation news articles and stories from around the world that grabbed our attention this week ending December 2nd, 2016. “Once again we are pleased to participate in full force at MEBAA with our stellar line-up of business jets,” said Peter Likoray, Senior Vice President, Worldwide Sales, and Marketing, Bombardier Business Aircraft. 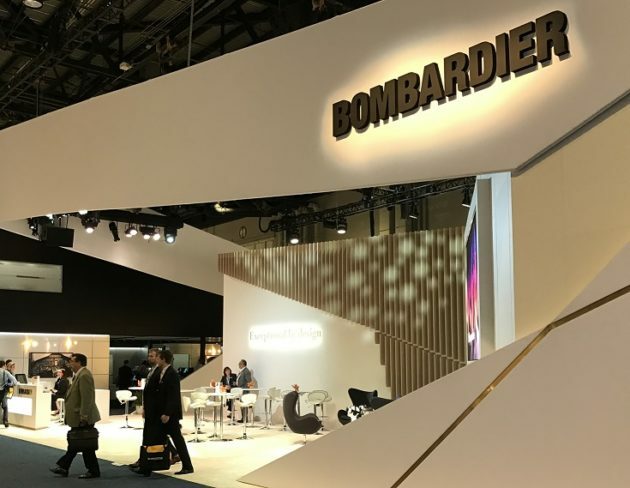 “With a solid team and a fleet of more than 100 aircraft based in the Middle East, Bombardier is well-positioned to build on its current presence as a world-class provider of exceptional business aircraft in the region.“We expect the Middle East to remain a promising market for business aviation in the next ten years. Our market forecast predicts 350 deliveries valued at $12 billion over the next ten years, with Medium and Large category aircraft accounting for about 95 per cent of these deliveries,” he added. “We expect the Middle East to remain a promising market for business aviation in the next ten years. Our market forecast predicts 350 deliveries valued at $12 billion over the next ten years, with Medium and Large category aircraft accounting for about 95 per cent of these deliveries,” he added. Challenger 650 aircraft: A powerful expression of high-end craftsmanship and functionality, the Challenger 650 aircraft is designed to be the most reliable business aircraft. The Challenger 650 business jet provides the ultimate in-flight experience with industry-leading connectivity, an immersive sound system, and a cabin management system that effortlessly brings it all together in the widest in-class cabin. 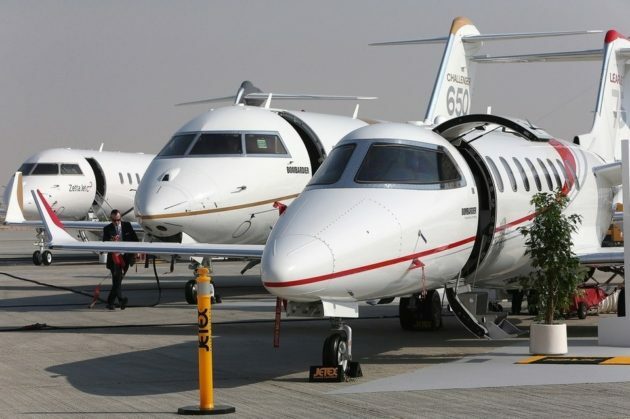 If the Middle East’s business aviation market has peaked, nobody appears to have told the region’s two big charter players. Both Qatar Executive and Abu Dhabi’s Royal Jet have been investing heavily in metal. Royal Jet – the world’s largest Boeing Business Jets operator – has just put into service its seventh new 737-based BBJ. 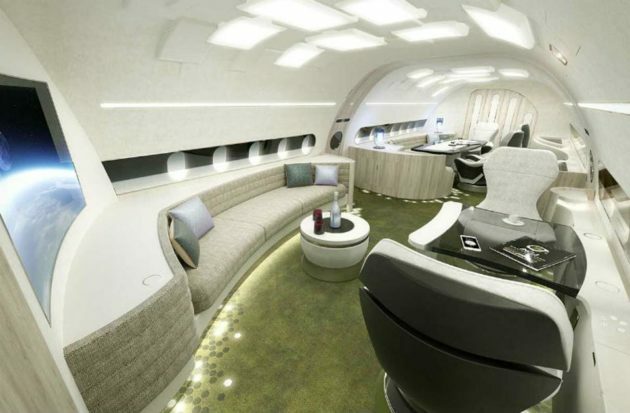 Its “twin” – also configured with 34-seats – was due to take Royal Jet’s BBJ fleet to eight at the end of November. Meanwhile, in March this year, Doha-based Qatar Executive took delivery of its third Gulfstream G650ER – it has three more of the ultra-long-range flagship on order, together with up to 24 G500s and G600s. The commitment – firmed up and extended at last year’s EBACE business aviation show in Geneva – should by the early 2020s make the offshoot of the national airline the region’s biggest charter operator. The Middle Eastern charter market remains a relatively young phenomenon. It did not exist before the emergence of Royal Jet from 2003. Royal Jet was then joined by several other high-profile brands and some third-party management companies offering charter services. While Qatar Executive entered the fray in 2009, subsequent years saw the demise of some players, including Abu Dhabi’s Prestige Jet and Rizon Jet of Qatar, as well as several smaller entrants. As with many markets, eager entrepreneurs followed the pioneers, but only a handful have had the financial backing or robust business model to survive upsets such as the 2009 Dubai debt crisis or the current low oil price. “A lot of people were sold a dream that was far from reality,” says Paras Dhamecha, executive director of Empire Aviation Group, a Dubai-based aircraft management company that has continued to thrive. 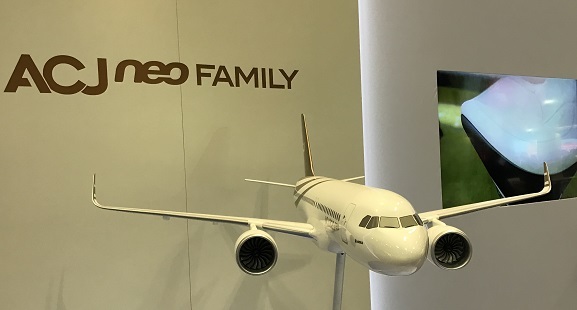 Airbus Corporate Jets is exhibiting an ACJ318 at the MEBAA show, emphasizing the greater comfort and space that its ACJ320 Family offers when compared with traditional business jets. The aircraft, which has the widest and tallest cabin of any business jet while being similar in size externally, is operated by Nasjet. Its cabin has several lounge areas, an office that converts to a bedroom, bathrooms and extensive storage space. Delivering intercontinental range, the ACJ318 can fly nonstop Middle East-Europe and is certificated to carry 19 passengers. “Airbus corporate jets provide a heritage of comfort, space, and reliability that is unmatched in the business jet world, so when you fly to save time, you’ll find that time flies in an ACJ,” comments Airbus Chief Operating Officer, Customers John Leahy.Airbus corporate jets have a strong presence in the important Middle East and North African region, with around 60 of them in service with companies, Airbus corporate jets have a strong presence in the important Middle East and North African region, with around 60 of them in service with companies, individuals, and governments. Airbus corporate jets have long set the industry standard in enhanced protection fly-by-wire controls, time and cost-saving centralized maintenance, and weight-saving carbon fiber. They now go even further, offering fuel-saving new-generation engines and Sharklets in the ACJ320neo Family, which brings even more of the world within nonstop reach. Brazilian aircraft maker hits its design targets with the recently launched fly-by-wire mid-light business jet. A decade ago, some people scoffed when Embraer announced its intention to create a complete line of business airplanes, from entry-level jets to behemoth biz liners, especially when the total of the company’s business aviation experience to that point had been creating the Legacy 600 from the ERJ-135 regional jet. But once the Phenom series of light jets — the 100 and the 300 models, both capable of operation with a single pilot — appeared, people began paying much closer attention to what the Brazilian company was creating. By the end of 2014, the Phenom 300 had become the most delivered business jet in the world and earned the same honor again in 2015. By then, nobody was scoffing anymore. In April 2008, Embraer announced another series of jets designed to neatly fit between the Phenom 300 and the Legacy 600/650. 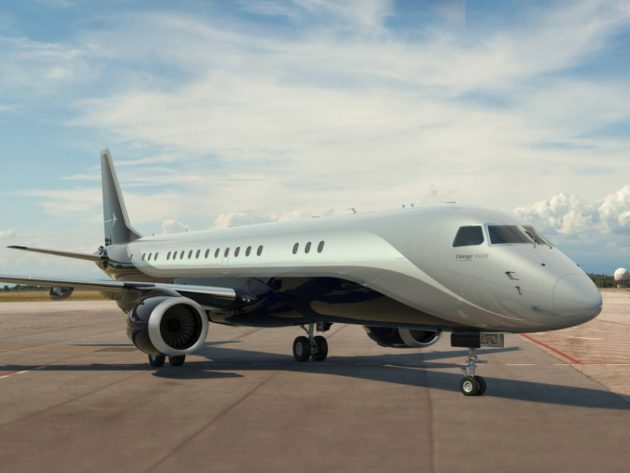 The company again surprised some observers when it revealed that the new airplanes, called the Legacy 450 and the 500, would be completely fly-by-wire machines, something unheard of in the midsize jet category. Also, the two new aircraft are so similar that only the sharpest eyes will notice the Legacy 500 is a slightly longer cabin version of the 450. The Legacy 450’s first flight in December 2013 came about a year after the 500 first took to the sky. By mid-2016 the company had delivered 31 Legacy 500s and three 450s. When the mid-light Legacy 450, as Embraer calls it, was being engineered, the expected range stood at approximately 2,300 nm with four passengers on board. By the time the 450 was officially announced at the 2013 NBAA Convention in Las Vegas, the airplane’s range had climbed to 2,500 nm after a slight increase in engine thrust. When Flying evaluated the 450 at the company’s Melbourne, Florida, production facility recently, test pilots had already proven the machine capable of flying nearly 2,600 nm with the same load. Then, just to keep things interesting, Embraer recently announced another range boost to just over 2,900 nm, with a 329 nm reserve and no payload changes thanks to some minor wing alterations that made room for more fuel. Not wanting early-delivery 450 owners to be left behind (since the first aircraft left the factory in December 2015), the mod was announced as retrofittable at no cost. Wealthy foreign homeowners in St Tropez are fuming over new rules that prevent private jets from a host of countries, including Britain, from using the glitzy French resort’s local airport. Under new regulations, jets flying from countries outside of Europe’s passport-free Schengen zone are no longer able to land at the La Mole St Tropez airstrip. This has affected travelers from the UK, Russia and the Middle East among others, whose planes account for almost a third of flights to and from the Riviera town. The resort is a frequent location for stars from Leonardo DiCaprio to George Clooney and Bono and Liam Neeson. 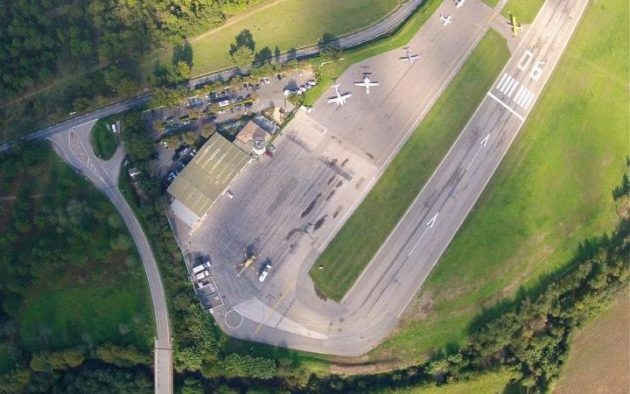 Local businesses and officials are up in arms over the consequences of stripping St Tropez’s customs status via a European directive, meaning it, along with a dozen or so other small airports, can no longer serve as a border entry point for such private or business jets. Other airports, including the upper-crust Alpine ski resort of Courchevel, lost their right to receive non-Schengen flights three years ago. Cédric Lescop, head of private aircraft company Jetfly said: “I have angry customers who bought homes for five to 25 million euros and don’t understand. At least three independently produced business aviation forecasts within the last few months have offered perspectives on everything from trends in market demand to pre-owned airplane inventory. All but lost in this flood of information is where special-mission aircraft fit into the mix. While the number of deliveries to companies and high net worth individuals are far greater, sales of business aircraft specially outfitted for other applications are still very important. Not only are they another source of revenue, but such aircraft also add to a brand’s cache. Gulfstream Aerospace doesn’t exactly have a corner on this niche market, but the OEM seems to be a heavy favorite among governments around the world. The Polish Ministry of National Defense is an example. 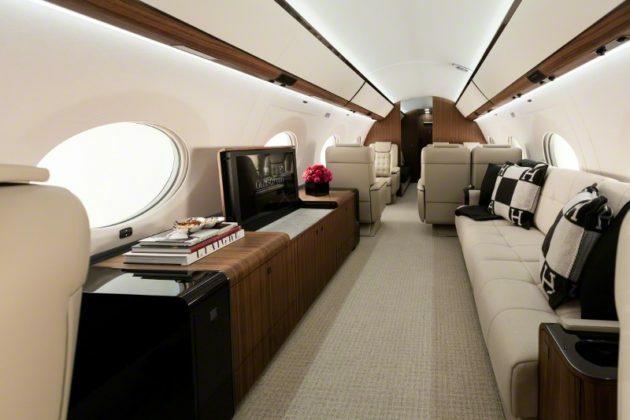 It recently signed an agreement to purchase two Gulfstream G550s configured for VIP transport. They are scheduled for delivery in 2017. The G550 is the most widely used in-production Gulfstream model for special missions and government applications. Its long range and ability to fly at altitudes higher than commercial air traffic appeal to customers, as do its dispatch reliability (99.9 percent) and operating costs, according to Gulfstream. For more than a decade, generational transition has been a hot topic in business aviation. As the average age of managers in the industry ticks higher, pundits have given advice on how to hire millennials, how to train them, how to integrate them into teams and what they expect as customers. Now, the next generation is coming of age. Across the industry, young leaders and entrepreneurs under 40 years of age are carving a niche, and they have a unique viewpoint on the future of business aviation. So NBAA listened. Ramey and other young aviation leaders singled out technology as the greatest force driving change in the industry, followed by the demographic shift. They also have a positive long-term outlook for the aircraft market. Looking ahead, Ramey predicted regulatory requirements would put pressure on older aircraft. “You have a lot of older aircraft that will be affected by avionics mandates, noise abatement [requirements] and concerns about carbon emissions, all of which will push them out of the sky,” said Ramey. In turn, fractional and charter operators will continue updating their fleets, boosting aircraft demand. “Even if margins on fuel stay low, there’s a strong reason to invest in more fuel-efficient aircraft,” said Avery. “Modern aircraft are great at tankering, so now it makes sense for more operators to have their own fuel farm” and cut operating expenses by fueling at their home base. Having flown a Gulfstream GIV-SP to more than a dozen countries, Ramey is betting that emerging markets will be an important source of aircraft demand, despite today’s global economic uncertainty. 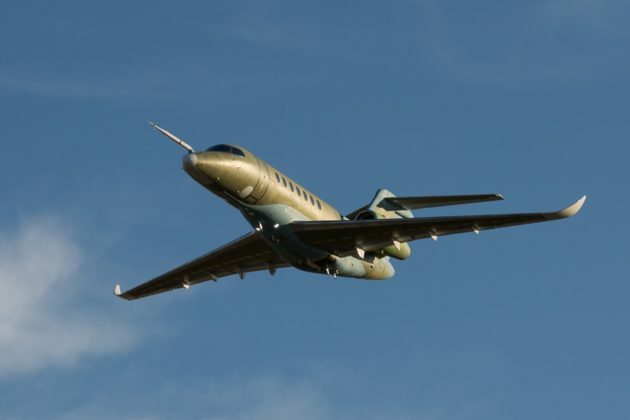 Cessna Aircraft Company, a subsidiary of Textron Aviation Inc., a Textron Inc. company, announced that the second aircraft in the Citation Longitude flight test program has successfully completed its first flight just over one month after the first prototype aircraft took to the skies in October. The flight, piloted by Textron Aviation test pilots Scott Foster and Peter Fisher, lasted approximately 90 minutes and reached all of its performance targets. The aircraft will be used in the flight test program primarily for systems testing, while further expanding the aircraft’s performance envelope. Cessna announced earlier this month that the Longitude has achieved an improved range of 3,500 nautical miles, an increase of 100 nautical miles, and full fuel payload of 1,600 pounds, an increase of 100 pounds, further establishing the aircraft’s anticipated leadership in its segment. Embraer Executive Jets has been named Aircraft Manufacturer of the Year by BACA, the Worldwide Association of Air Charter Professionals. The award was presented recently to Peter Griffith, Senior Vice President Sales, Europe, CIS & Africa, Embraer Executive Jets , by Richard Mumford, BACA Chairman, in the presence of Robert Walters, a director of Biggin Hill Airport Ltd., the award’s sponsor. Embraer Executive Jets is the first organisation to win this new award, decided by the votes of BACA members across the world, representing over 200 member companies. The four-living-area G650ER will headline Gulfstream’s presence, showcasing the company’s commitment to exceeding customers’ expectations for customization, comfort and craftsmanship. Customers will have the opportunity to see the three Gulfstream aircraft firsthand and discuss Gulfstream’s advances in innovation, reliability, safety and performance. Booking private jets via an app has become popular in recent months. But here’s what to know before you buy. And while booking a private flight on a smartphone sounds appealing, the process may be lacking critical information. After all, it’s not like using a search engine to compare commercial flights: “You will see disappointments if you are just going on a picture of the airplane and the price,“ Tivnan says. The pool of private aircraft available for charters is far more varied than that of the typical commercial airline, encompassing dozens of models, ranging from lavish Gulfstream jets to tiny turboprops. For their part, industry executives acknowledge there’s a vast difference between experienced private jet fliers who have trusted contacts inside the business, to the more casual—or first-time—user. In business aviation, sales slumps are usually broken by the arrival of new products, which explains why most forecasts predict any recovery will occur after 2017. That aligns with the arrival of several impressive models, such as the Bombardier Global 7000, Cessna Citation Longitude, Gulfstream G500 and Pilatus PC-24. But relying on new products to stimulate demand doesn’t always work. Sometimes projects get delayed, and, even if they arrive on time, the market might not move. Since 2015, manufacturers have delivered the Citation Latitude, Dassault Falcon 8X, Embraer Legacy 450 and the Honda Aircraft HondaJet. Each features impressive performance and new technologies, yet the market in most regions has shrunk. To drive a real recovery, the industry needs to come up with a better way of doing business: one less reliant on new metal. While improved aircraft are still necessary, the sector needs to do more to stimulate demand. In the world of large-cabin business jets, there are Airbus Corporate Jet (ACJ) and Boing Business Jet—and then there’s everybody else. These are not the fastest or highest flying aircraft, but there is no question they redefine the meaning of ‘office in the sky’ and, in some cases, the sky’s-the-limit opulence achievable according to a customer’s personal preferences (and imagination). After all, they are highly customized derivatives of passenger jets flown by many of the world’s major airlines. At the recent National Business Aviation Association conference and exhibition, Airbus introduced a new cabin concept for its A320neo (New Engine Option). Called Melody, the design features flowing lines inspired by naturally occurring curves, such as hilly horizons and desert dunes. These flowing lines are represented in both the main pathway through the airplane’s cabin and the curved walls of zones within it. The approach also focuses on an environment that is quieter and better adapted to providing sound and vision in a home cinema setting. Airbus made extensive use of some of the latest technologies used in commercial and military aviation, such as weight-saving carbon fiber, in tables and cabinets and greater use of wi-fi. With a lighter cabin, Airbus was able to increase the range. In fact, both the ACJ320neo and the smaller ACJ319neo feature next-generation engines and wing tip sharklets for improved aerodynamics. In addition to longer range, operators can expect to benefit from a 16% reduction in fuel consumption, according to an Airbus Corporate Jet official. 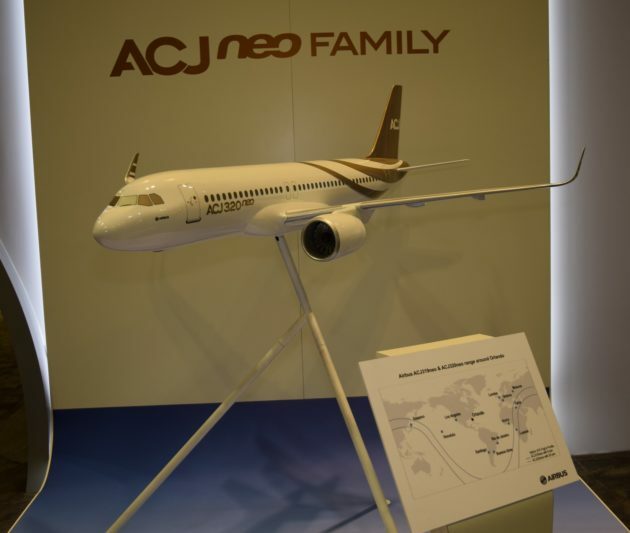 The ACJ320neo can fly 25 passengers 6,000 nm or more than 13 hours, while the ACJ319neo can transport eight passengers 6,750 nm or more than 15 hours. The Canadian plane maker Bombardier has reported a lower than expected adjusted net loss and said it expects to finish the year with improved operating margins in all of its businesses. The company raised the lower end of its full-year forecast for earnings before interest and tax(ebit) to US$350 million from $200m, while maintaining the upper end at $400m. Montreal-based Bombardier forecast revenue of $16.5 billion for the year, compared with its previous forecast of $16.5bn to -$17.5bn, after the company in September halved the 2016 delivery forecast for its CSeries mid-range aircraft. The CSeries programme, which has been hit by production delays and cost overruns, has received a $745m investment from the Quebec provincial government. Canada’s federal government has agreed in principle to invest in the company’s CSeries programme, but a deal is yet to be finalised.Bombardier said last month it would cut 7,500 jobs, mostly in its train-making division, the second round of layoffs this year, following extended delays and budget overruns in its aerospace business. Bombardier said last month it would cut 7,500 jobs, mostly in its train-making division, the second round of layoffs this year, following extended delays and budget overruns in its aerospace business. Bombardier delivered 36 business jets in the quarter ended September 30, compared with 43 in the same period last year. It delivered 16 commercial aircraft, two more than a year earlier. The company’s net loss narrowed to $94m, compared with $4.88bn a year earlier. Revenue fell nearly 10 per cent to $3.74bn. Bombardier booked non-cash charges of about $4.4bn on its CSeries and Learjet 85 programs a year earlier. 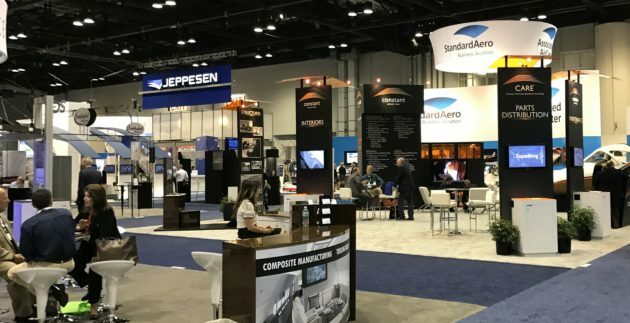 Anyone who attended the recent National Business Aviation Association (NBAA) convention and exhibition could plainly see there’s no shortage of innovation going on across the entire sector—whether it’s in the form of new and improved designs of jets and turboprops or in any of the numerous systems that enable these aircraft to meet the transportation needs of the most discerning, hard-driving business executives. No less striking, at least from this observer’s perspective, is the difference in how various OEMs (original equipment manufacturers) seem to have approached the business of developing and certifying new models. If the process were track and field, parallels with sprint, relay and long-distance running events wouldn’t be a stretch. On one end of the spectrum, you have companies like Honda Aircraft Corp.—the marathon competitor. HondaJet is the culmination of founder Michimasa Fujino’s 30-year dream of bringing to market the world’s fastest, most advanced light jet. This week Honda announced its first speed records over two recognized courses: Teterboro, N.J., to Fort Lauderdale, Fl., and Boston, Mass., to Palm Beach, Fl. Then there are the “relay” competitors—companies who have mastered the science (and art) of producing clean-sheet designs in close succession aimed at niche market segments. Embraer, with its Legacy 450 and Legacy 500, and Gulfstream Aerospace with its G500 and G600, come to mind. Embraer disclosed that Brazil’s civil aviation authority, the European Safety Agency and the FAA awarded certification of the Head-Up Display and Enhanced Vision System for both aircraft.